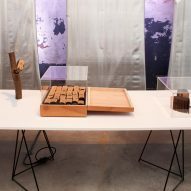 Robots could be released into the countryside to help restore damaged ecosystems, according to the curator of an exhibition held at Dutch Design Week last month. 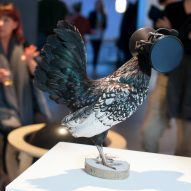 Arjen Bangma, who curated the Robotanica exhibition in Eindhoven, said that artificial creatures and intelligent devices could step in to take the place of extinct species. "Mankind has damaged nature and we're looking at art and design projects to restore ecological systems," said Bangma, who is director of cultural organisation Transnatural. "The show is about robotics within nature," he added. "It's about how robots can serve nature in a positive way." Robotanica brought together a range of proposals by artists and designers, including an artificial woodpecker by Rihards Vitols that scares parasites away from trees by replicating the pecking sound of a real woodpecker. "The woodpecker is almost gone in the wild, but it is important for the environment because it protects the plants and trees from getting eaten by insects," Bangma explained. "As soon as the woodpecker is gone a lot of trees and the plants get damaged. This robotic version mimics the acoustics [of a living woodpecker] so the insects aren't around to eat the leaves." Bangma agreed that it would be better to save real woodpeckers, but added: "You need some kind of in between period when you can use these kinds of technological design improvements to keep the damage as low as possible." "One of the problems we face at the moment is desertification due to mankind," Bangma said. "The tumbleweed robot explores areas that are difficult to survey, gathering information for scientists and sending it to a data hub." 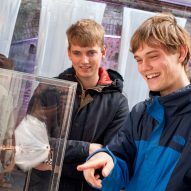 The exhibition also featured a range of robot insects that could be released into the wild in swarms to serve human needs such as searching for disaster survivors or surveying remote areas. 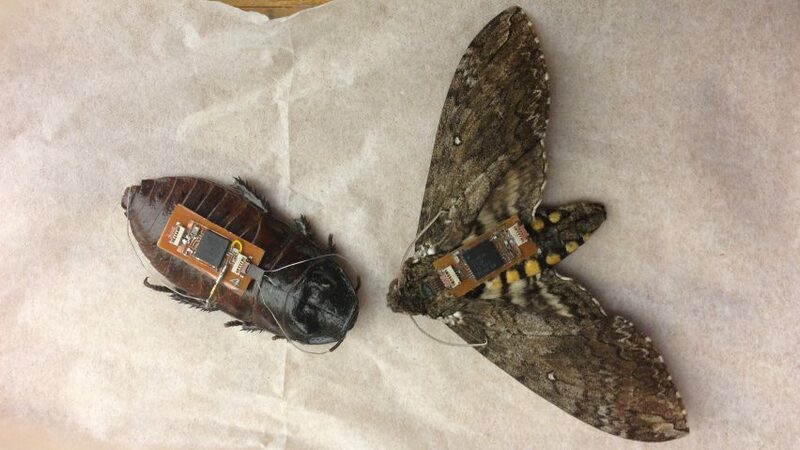 These include Delfly, a robotic dragonfly developed by students at TU Delft, and inset cyborgs developed at North Carolina State University that involve putting microchips and sensors on living coachroaches, turning them into "biobots". "This form of robotic is really new," Bangma said. "It's kind of a reality check on the state of the earth, and where it's going at the moment. We need to take action now on all kinds of different levels." The idea of using robots to help the natural world is similar to a proposal by designer Alexandra Daisy Ginsberg, who has suggested using synthetic biology to design artificial creatures to save species and remove pollution. "The idea is that we could preserve or maintain a state of nature using synthetic organisms that are designed to save other species," Ginsberg told Dezeen in 2013, when she unveiled her project called Designing for the Sixth Extinction. The project explored whether designers could be "designing organisms like we're designing products now to do something like save nature." 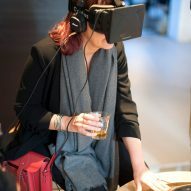 The Robotanica exhibition took place in Eindhoven at the same time as Dezeen's Good Design for a Bad World talks, which explored how designers can help solve the big problems facing the world. Bangma said that designers need to work on "bottom-up" solutions, collaborating with artists and scientists to propose radical new solutions rather than waiting for others to take action. "It's really important because [designers] can develop all these different kinds of tools on different levels to help things less worse, or to solve problems," he said. 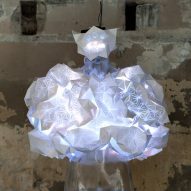 "But the projects we see [at Robotanica] are kind of interdisciplinary things between artists, designers and scientists, who come up with these combinations of fantastic ideas to deal with these huge problems. Creatives should get together with scientists and just come up with the ideas on their own, and then try to convince governments to invest."